Kalamazoo, MI: On Sunday, January 28th 2018, the Kalamazoo Department of Public Safety responded to the 800 block of N. Prairie Ave reference a body located in a wooded area. 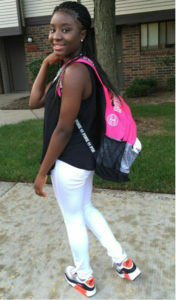 The deceased has been identified as Mujey Dumbuya, a sixteen year-old Grand Rapids resident. Ms. Dumbuya was reported as a runaway on January 25th 2018 in Grand Rapids. She was last seen in the early morning hours on January 24th. 2018. The Kalamazoo Department of Public Safety is investigating the incident as a homicide. Public Safety extends our deepest sympathy to the Dumbuya family. Ms. Dumbuya was discovered wearing a black Columbia jacket, white and pink T-shirt with a print of Cinderella’s face on the front, blue jeans and pink Nike tennis shoes (her right shoe was missing). 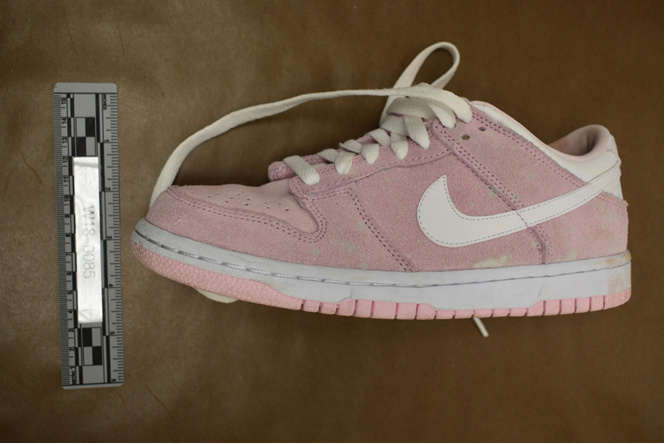 Attached is a photograph of Ms. Dumbuya along with the type and color of Nike shoe she was found wearing when her body was discovered.